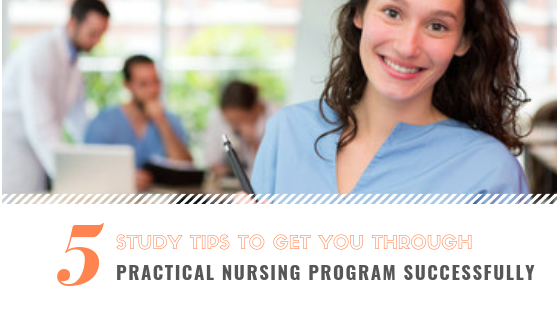 5 Study Tips to Get You Through Practical Nursing Program Successfully! Are you ready to start with your licensed practical nurse training? Have no doubt that it is going to be a challenging journey ahead, with all the studies and the tests. Not to mention you probably would also have other responsibilities to attend to in addition to attending the nursing school. You shouldn’t be worrying too much though about successfully completing your licensed practical nurse degree, because this is certainly achievable if you are organized and consistent with your efforts. Here are some study tips that you should heed to as you look forward to begin nursing school and become a practical nurse. May sound like an age old advice but it still deserves an emphasis over and over. You will have a lot of study material at your disposal for perusal and you can’t rely on the last few weeks before your NCLEX-PN exam to cram it all up. It would be much easier if you took out a little time every day to study and learn. The pressure will ease off instead of building up. If reading through huge texts of information seems tough for you, which is a part and parcel of licensed practical nurse programs, then there are ways to simplify this. Instead of going in too much detail and trying to memorize everything during the first read, just roughly browse through the material to get a feel of what the topic is about. Find out the common exam questions related to the topic. This will give you an idea about the most important things within the topic that you need to study. Memorizing information can be made less cumbersome if you take help from useful learning tools like rough notes, flashcards, and diagrams. Keep these items handy so that you can carry them with you in your bag wherever you go. That way you can steal a glance at these during any free time and refresh your memory at any chance you get. Treat all your licensed practical nurse classes with seriousness because there’s so much to learn in the classroom. Pay attention to the professors and jot down notes as best and in as much detail as you can. When the day is over, you should take some time to revise the key learning from the classes that day. Going over the things you learned once more on the same day will help you remember it better in the long run. Talking to and taking help from your friends at school is a wonderful opportunity to not just expand your own pool of knowledge but also to socialize and share with like-minded people. If study groups work for you, then go ahead and find friends with whom you can form a productive learning environment. You can ask your group mates doubts and queries about topics you don’t understand. You could all share notes with each other, give each other quick tests, give and take tips, etc.